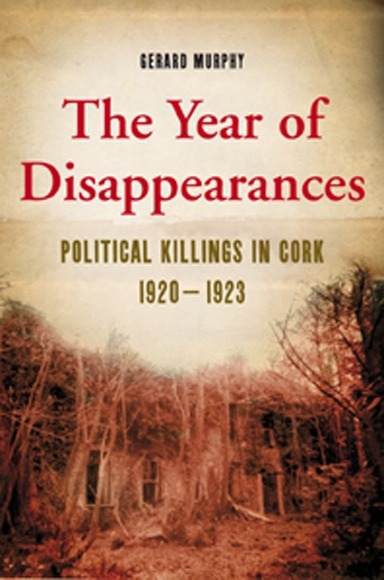 Gerard Murphy, author of The Year Of Disappearance: Political Killings In Cork, 1921-1922, responds to Pádraig Óg O’Ruairc’s review of his book. I have to say I was delighted at Pádraig Óg O’Ruairc’s forensic analysis of my book because it provides an answer to something that had puzzled me since the book came out. In the interests of those who have only a passing familiarity with the topic it is necessary to provide a little more detail than Mr O’Ruairc presents in his review. In order to see whether two or three were killed or indeed whether or not they were Protestants we need to quote a little more of Neenan’s account than what Mr O’Ruairc provides. Anyone who had ever had the honour of attempting to read Ernie O’Malley’s handwriting – and it is an honour – agrees that it poses significant problems for historians. In that short piece there are three sections that are very difficult to decipher. I transcribed the line beginning with ‘Both kids’ as ‘3 were friends’ on the basis that Ernie O’Malley tended to use numericals when writing numbers, and the first letter was clearly a ‘3’ rather than a ‘B’. Mr O’Ruairc kindly sent an electronic copy of a page and a half long sample of Connie Neenan’s account to Ernie O’Malley to my publisher just after Christmas to prove how wrong I was. In that sample alone, there are fifteen (15 if you like) capital ‘B’s. All but one has the down stroke. And all the numbers are written as numerals. So on statistics alone, and on Ernie O’Malley’s way of writing ‘B’s and numbers I think I could be forgiven for believing that that ‘B’, if it was a ‘B’ might have been a ‘3’. Also the rules governing access to the O’Malley notebooks stipulate that researchers are not allowed to make copies. So it is not possible to take away copies of the originals for independent analysis by handwriting experts, something Mr O’Ruairc suggested I should have done. Nor did I have the luxury at that stage – the paper copies were still available – of magnifying or isolating sections of text. So most scholars – Mr. O’Ruairc is obviously the exception – are at the mercy of whatever he or she takes down in pencil on the day (or days) when one manages to visit UCD. But this is beside the point. What the account unambiguously shows is that the ‘kids’ in question, be they two or three, were members of the YMCA, and therefore Protestants. This is confirmed by Neenan’s own memoirs and other interviews he gave (all of which are typed, so there’s no room for ambiguity there) and have been available in Cork City and County Archives (formerly the Cork Archives Institute) since the end of 2007 and which I’m sure Mr O’Ruairc must have studied. In these, Neenan states that these kids were Protestants. But there is another piece of information in Connie Neenan’s account to Ernie O’Malley that Mr O’Ruairc does not provide us with either. Talking of the so-called Anti Sinn Fein League, Neenan states that ‘one of the group broke down in June 1921 when he was caught outside Douglas…. This was a young kid, a nondescript type and we shot him.’ Neenan goes on to say that this may have been ‘Begley, one of Shields’s crowd.’ There is no question that Dan Shields, an undercover army operative, was running spies around Cork. One of them, the brother of a well-known IRA man, referred to as ‘Saunders’, was caught and shot in Carrignavar at the end of May. Indeed, the whole tracking of Shields and Saunders occurred north of the city, even into the 2nd Brigade area around Mallow. Moreover, Begley was caught on the morning of the Truce, 11 July, not in June, and executed a few days later by the 1st, rather than the 2nd Battalion. Begley does appear to have been one of Shield’s operatives (see below). Considering that when IRA men referred to the Anti-Sinn League they invariably meant Protestants the alleged Anti-Sinn Fein League ‘spy’, the ‘nondescript’ kid who broke down outside Douglas in June must have been a Protestant. For what it’s worth, and for the benefit of the uninitiated, Mick Murphy, commandant of the 2nd battalion of the city IRA, also left accounts of the killing of Protestant teenagers out of the YMCA, as did Martin Corry, all of which are covered in my book. Mick Murphy, commandant of the 2nd battalion of the city IRA, also left accounts of the killing of Protestant teenagers out of the YMCA, as did Martin Corry, all of which are covered in my book. But I was puzzled by my own interpretation of the contentious line above. Because if I were right and the line read ‘3 were friends’ then that could only mean that there were four Protestant teenagers executed near Douglas at that time, rather than three. Yet all the supporting evidence suggested that the number was three. And there is supporting evidence, something Mr O’Ruairc is very well aware of, seeing he was passed on what in my naivety I believed was my confidential (and sometimes dismissive) reply to the review which he first submitted for publication at the Sunday Tribune where it seems it failed to find an outlet. In that reply I detailed how a telegram exiting British army HQ in Cork on 25 August 1921 read: ‘With reference to the three cases of chicken broth, relating to children. Are they children? Say children then in the report.’ Considering that subsequent telegrams exiting Victoria Barracks, as it was then, deal with the capturing of teenagers and express concern about Boy Scout troops, I think it’s fair to suggest that the three cases of chicken broth refer to children taken in the summer of 1921. It is very doubtful if seventeen year olds such as Nolan and Begley would have been referred to as children, especially in those days. Mr O’Ruairc goes on to state that the only source I have for the fate of the ‘Three Protestant Boys’ is one anonymous source. As must surely be clear by this stage, this is simply not true. An elderly local historian with a vast knowledge of the period told me – this was unsolicited; we were just having a general chit-chat about the conflict – of three Protestant boys who were shot and buried in Frankfield – ‘they talked, you see’. Considering that he was accurate in all the other things he told me on events on the south side of the city, I think his account has to be given credibility. He even told me where they are buried. And he is not anonymous, as Mr O’Ruairc also knows, especially since my reply to the Tribune was leaked to him. So the question arising from the above quotation is not whether it was two or three teenagers who were shot outside Douglas around the time of the Truce but whether it was three or four. Since all the other evidence points to the number being three, I am grateful to Mr O’Ruairc for the enormous trouble he must have taken to point this out. The most likely scenario is that the three boys were shot together. I was surprised with his knowledge of the O’Malley notebooks that Mr O’Ruairc has to ask who ‘Duggan’ was, because Connie Neenan also mentions him. ‘Begley was the last of the spies, or Duggan maybe, he was associated with Shields…’ I don’t have a problem with people coming up with new information or indeed finding errors in my book. These can all be hoovered up and put into a subsequent edition of the book, if such there be. And I don’t have a problem if further evidence proves I am sometimes wrong. History, after all, is not watertight and proceeds by the process of correction. To give him credit, however, Mr O’Ruairc does engage with the text and, in contrast to some reviewers, has actually read the book. You cannot even begin to deal with those who ascribe things to you that you never wrote or who partially quote pieces of evidence while deliberately ignoring other pieces. Only yesterday I was handed a review which stated that I had proven that William Parsons did not exist! However much this exercise in mind-numbing pedantry is a pain-in-the-neck, at least one cannot accuse Mr O’Ruairc of dishonesty. I’m not sure, however, if I agree with his analysis of my position on what happened between the IRA and the YMCA in 1921/22. I’m not so sure if there is a seamless connection between the events of the summer of 1921 and the spring of 1922 when I believe the targeting of Freemasons and the YMCA began in earnest. There is no question that the YMCA was also targeted in the spring and early summer of 1921. However, Brigade IRA intelligence reports suggest they had not come under suspicion by the time of the Truce. There is no question that the YMCA was also targeted in the spring and early summer of 1921. However, Brigade IRA intelligence reports suggest they had not come under suspicion by the time of the Truce. My intention was to put all the evidence I could find down on paper and let people draw their own conclusions. In some cases, it is impossible to draw conclusions and this may be one such instance. This issue can only be resolved if considerable amounts of new information become available, which may happen whenever the IRA pensions application forms are made public – though I suspect that even in those the officers may have very little to say on individual killings. On a lighter note, Mr O’Ruairc lets himself down in the rest of his review when he conflates trivial issues into major ones. Again, these have been dealt with before and were the subject of the ambush I blindly walked into courtesy of Mr O’Ruairc in January. Anybody who is interested can read the headline. Author Owns up to Errors in IRA Death Book (Sunday Tribune 16/1/2011) before going on to read that the two errors reported were little more than typographical ones. I suppose from Mr O’Ruairc’s point of view the exercise did have some propaganda value, if only for the headline. In the interests of clarity, however, let’s examine these issues which, according to Mr O’Ruairc, make the value of my work as historical fact ‘seriously questionable’. According to him, ‘Murphy’s definition of what constitutes a teenager is problematic’. His evidence for this is that I inadvertently referred to four young soldiers who were shot on the eve of the Truce after going out unarmed to buy sweets as ‘teenage soldiers’. Now thanks to Mr O’Ruairc’s diligent digging we find out that they were over 20, two of them barely so. As this was merely a passing comment it does not have the slightest bearing on the fact that the IRA did in fact execute fifteen-year-old civilians. Nor does it have any bearing on the contents of the book as a whole which concerns itself with the deaths of civilians rather than soldiers. As I stated in my reply to the Tribune this was merely an oversight on my part. Incidentally, this event was viewed with such horror in Cork that there was even pressure from some within Sinn Fein to have an inquiry into the killing. His final point, which presumably is his coup de grace, is that I accidentally left out ‘three key words’ when transcribing an IRA intelligence circular issued in late 1920 which he says completely changes the meaning of the sentence. The key words are ‘locally do not’. Indeed they do change the meaning of the sentence, from saying that IRA intelligence should keep an eye on businesses where people do not generally deal, to saying that they should keep an eye on business where people generally do deal. But they do not change the meaning of the paragraph in which the sentence is found, nor indeed the circular as a whole which in its original form runs to four pages. Nor do they change in the slightest the meaning the chapter in which it is quoted. Again the suggestion that this minor error has any bearing on the contents of the book is risible. I would challenge anyone to read the chapter in question and come to the conclusion that Mr O’Ruairc comes to. In a book of this length I would hope I would be given some bit of leeway for the occasional typo. But from the likes of Mr O’Ruairc, evidently not. Perhaps I should take it as a compliment that someone with Mr O’Ruairc’s considerable scholarly skills could only find three relatively minor errors in a book of 141,000 words – one of them based upon the transcription of a single letter. To write a book of 380 plus pages and make no mistakes is surely a superhuman feat – even with the best editorial help. But I would not be naive enough to think we have heard the last of Mr O’Ruairc and his friends on this. I’d imagine there must be other errors in the text. It’s probably only a matter of time before Mr O’Ruairc comes back on these with all guns blazing. The above points are real of course. But they are so trivial that the temptation is not to bother to defend them – with obvious results. May I finish up with another pertinent quotation from the O’Malley notebooks in which Florence O’Donoghue describes the possible use of loyalists as sources of intelligence by the British military in Cork and in which the issue of handwriting comes up. This says a lot about British military intelligence in Cork at the time and substantially agrees with what the British army intelligence reports themselves state. It also shows how shrewd an operator Florrie O’Donoghue was. However, one historian, in an effort to explain away the last line, stated that the ‘may have’ was an error on O’Malley’s part. O’Malley ‘roughly transcribed his interviews and was hardly a stenographer.’ These are the words of John Borgonovo, surely no supporter of mine. Nobody’s perfect. The field of history is a big one, in which all kinds of people can make hay. 2: Connie Neenan in O’Malley, P17b/112. 3: Connie Neenan in O’Malley, P17 b/112. 4: One of the RIC men stationed there may also have disappeared. 5: John Borgonovo, Spies, Informers and the Anti-Sinn Fein Society, 2007, p132. For the record, the above quotation is from Borgonovo’s own book so if there are errors in it they are not due to my failing eyesight. Written by: Eoinpurcell on 18 March, 2011. Last revised by: John_Dorney16 August, 2011. 6 Responses to "Gerard Murphy’s Reply to Pádraig Óg O’Ruairc’s Review"
Evil is everywhere and Ireland was not always an island of Saints and Scholars. I had a grand uncle who took the republican side in the Civil War and ran a safe-house during the War of Independence. When years later he recalled some of the events, he said, ‘there were a lot of dirty things done in the name of Ireland.” This came from a man who got a terrible beating from the Tans.